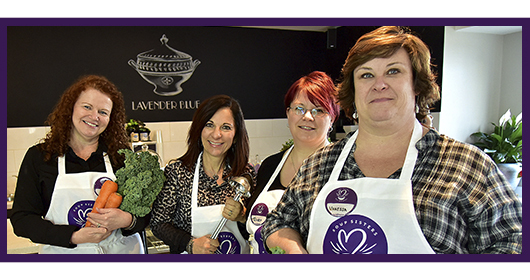 Welcome Orangeville/Dufferin to the wonderful world of soup! 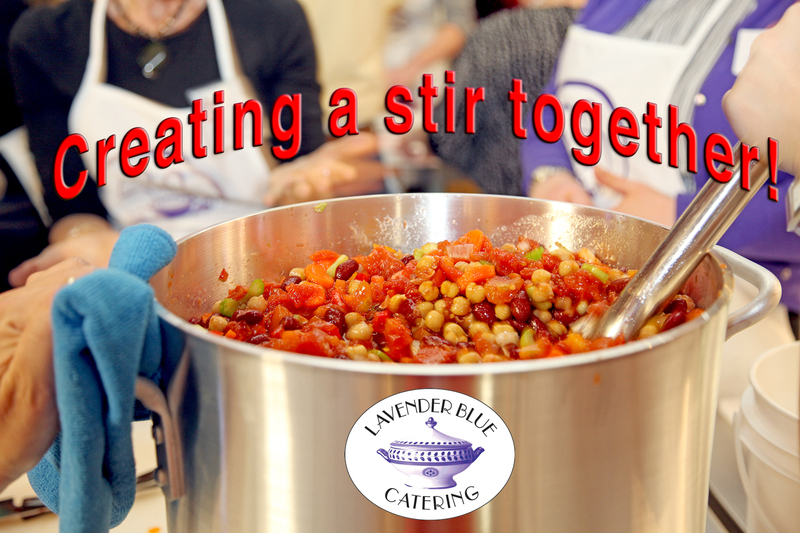 We are proud to partner with the staff at Lavender Blue Catering for monthly soup making events that support the women and children of Family Transition Place. Since 1984, Family Transition Place (FTC) has been providing critical services to women and their children who have experienced abuse and unhealthy relationships. Inside FTP�s doors, women find a warm and welcoming place where their safety and well-being is the most important thing in the world. Whether they need a safe place to live, or the services of a professional, skilled counsellor to assist them on their journey, FTP is there to help. Soup Sisters and Broth Brothers charge a $55 participation fee per person to cover the expenses of ingredients for the soups, the venue, equipment, supervision, and a Chef or professional facilitator. This ensures that the finest ingredients possible are used every time for the soups we provide to women, children and youth. Events are social evenings with lively conversation, chopping, laughter and warm kitchen camaraderie that culminate in a simple, sit-down supper of soup, salad, bread and wine for all participants. Each event produces approximately 150-250 servings of fresh soup that sustains your local shelter with nourishing and nurturing soup each month.